You are a water sign, and also easily impressed. Therefore you need someone to bring you down to earth, and that person is a Taurus. He will stimulate you mentally, and can help you improve in terms of practice. In such a relationship, you are influenced by factors related to family, ideas and short trips. The two signs are in harmony, and this relationship can be a long one. Venus, the governor of Taurus, joins Neptune to encourage the creation of a home and an adequate neighborhood. Alongside Taurus you grow out of your daily routine, and at the same time you get the safety you crave for. You may require the opinion of some relatives in this relationship, and siblings may be prominent figures whose opinion you cherish. 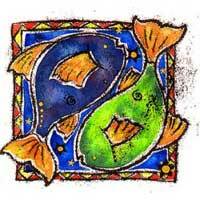 There have been many marriages between natives of these two signs, because there is harmony. Another important element in the relationship is humor, which should not be missing. 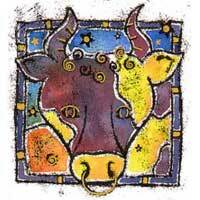 Taurus will see you as a friendly, pleasant and stimulating person. Please note his versatility; he is charming and funny at the same time. He encourages you to write, to keep in touch with friends, to help you see the miracles around you, and to observe things that will make your personal world be a comfortable and pleasant one. This can be a fascinating relationship, and long lasting.